The previous week had closed with news of a Red-breasted Flycatcher discovered in Co.Cork on Galley Head at Shite Lane. 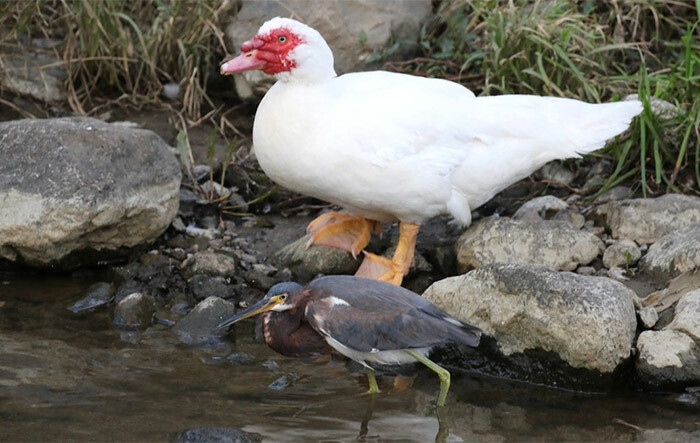 The current week began with news of two birds there on 24th. So far, so unremarkable. And then, on 25th, one of those birds became something altogether more interesting. Namely, Ireland’s first ever Taiga Flycatcher. This relatively recent split from Red-breasted Flycatcher remains firmly on the radar of anyone finding an RB Fly. That said, they’re still a properly rare proposition in Britain, let alone Ireland which, as we all know, struggles somewhat for eastern vagrants – no doubt not helped in the least by the considerable British landmass in between it and the rest of Continental Europe. To date Britain has a mere three accepted birds to the end of 2016 – our first, a spring bird on Flamborough Head (East Yorkshire) in 2003, followed by two autumnal Shetland examples in 2003 and 2009. Not, then, one of those Sibes like Siberian Rubythroat that’s turning up with more noticeable frequency of late… and that makes Ireland’s first all the more remarkable. So hats off to dedicated Irish birders’ diligence for getting to the bottom of this bird – but for any Irish birder wanting to add this latest to their lists, acting fast was of the essence – whilst the bird’s identity was resolved on 23rd, the third day of its residency, it was gone by 24th. I’ve been saying for a few weeks now that it’s an unwise birder who writes off Fair Isle. That said, Shetland’s premier rarity island hasn’t been firing on all cylinders this autumn. Foula has been roaring; Unst has been on form; and even Whalsay has thrown up a trio of quality BB rarities. But Fair Isle… by its own high standards, barely a murmur. And yet, and yet… it wouldn’t be an autumn without the magical island producing at least one screamer, and late October is traditionally when Fair Isle delivers the goods. This week, halfway through a week that wasn’t marked by much easterly interest in Shetland as a whole, Fair Isle did the business with a male Siberian Rubythroat on 28th. With the fall from prominence in the past twenty years of Red-flanked Bluetails, there’s arguably no more charismatic and sought-after Sibe than Siberian Rubythroat. Yes, there are rarer chats, but this is the complete package – rare, imbued with historical yearning, and devastatingly handsome. Britain’s first was on Fair Isle, way back in 1975. 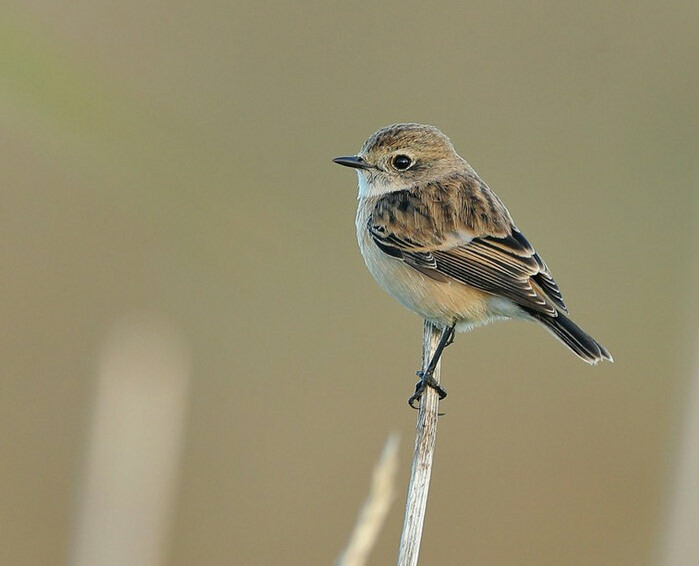 Our second involved a long wait, until 1997, when a first-winter male was discovered in Dorset at Osmington Mills. A bird that, while it delighted those who reacted quickly that Sunday afternoon, was not without lingering controversy amongst those who doubted such a monstrous Sibe could possibly turn up on the south coast. Maybe a couple of recent jaw-dropping Phylloscopus warblers in Dorset and Scilly have allayed that cynicism? Maybe. Another week, and there’s another Nearctic passerine to add to 2018’s growing tally – and, for that matter, to Lundy’s generally impressive showing this year for birds from all quarters. 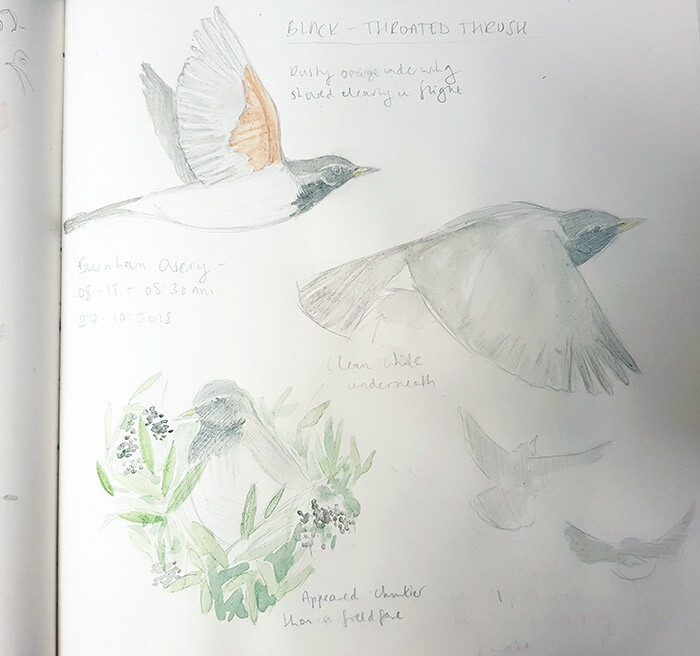 Devon’s outpost in the Bristol Channel scored again this week, hot on the heels of their brief Green Warbler earlier in the month, with an even briefer American Robin on 26th. And, when I say brief, I really do mean it – seen for no more than 15 minutes before it vanished, this was Devon’s fifth example of this chunky, funky thrush – and there’s clearly something magnetically attractive to American Robins about Lundy, as no fewer than three of those previous four records have been on there. I don’t think there can be any other single site in Britain that’s done quite so well for them – not even on Scilly. Speaking of Scilly, the week began with the Grey-cheeked Thrush on St Agnes still showing intermittently well on 24th, but not thereafter. Was that it for the year? Well, no. We’ve done well for Nearctic vagrants in autumn 2018, and the year still had some momentum left in it – another Grey-cheeked Thrush was discovered on Orkney at Rednall on 28th, hotly followed on 29th-30th with another found back on Scilly, this time on St Mary’s. We spoke last week about how well Shetland has done in recent years for this delicate Catharus compared to, for example, Ireland – and concluded that as much as anything this must surely be down to observer coverage rather than actual paucity of birds in the latter location. The same factor must be what’s governing the relative lack of Grey-cheeked Thrushes in Orkney, for they’re surely making it there too, unseen. This latest bird, however, did not slip through the net, and represents only the fourth Orcadian record. Ten minutes really isn’t a generous showing by a male Black-throated Thrush - even an hour or two would have been a more considerate display by said bird – but that wasn’t how it was to be at Burnham Overy Dunes on 27th. The bird in question had no sooner arrived than it was gone again, heading away inland. Another obliging wintering bird scoffing cotoneaster berries in some suburban setting would be very welcome indeed in the weeks or months to come. After a long wait for it, Britain’s second Grey Catbird has proven to be the most obliging of creatures – present once more throughout the week until 29th in Cornwall at Treeve Moor, as enduring, settled and showy as the previous Anglesey bird most certainly wasn’t. Everyone so inclined can now ink a firm tick in the box next to it on their lists, and simply not mention the Anglesey awkwardness ever again. Amongst the throngs of Poms there were a handful of Long-tailed Skuas too for the keen-eyed to pull out – single birds seen on 27th from Spurn (East Yorkshire), Cley and Weybourne (Norfolk), Collieston (Aberdeenshire) and Hartlepool Headland (Cleveland); another was seen on 28th from the latter site, with further sightings that day from Frinton-on-Sea (Essex) and Whitburn CP (Co.Durham), and a probable back in Essex at Holland Haven. A possible from Whitburn CP (Co.Durham) preceded singles off Fife Ness (Fife) on 26th and 27th; and Girdle Ness (Aberdeenshire) on 27th and 28th. A further two birds on 27th were seen in Aberdeenshire at Collieston, and a single further south from Skipsea (East Yorkshire). On 28th a possible bird was noted from Papa Westray (Orkney), with confirmed birds that day off Hornsea (East Yorkshire) and Cley (Norfolk); Cley delivered another sighting on 29th too. Kent teased with putative Cory’s Shearwaters this week – an unconfirmed report of two seen from Shell Ness on 26th was followed, on 27th, by a report of a single bird from Foreness Point. Single Balearic Shearwaters were noted on 26th in Cornwall from St Ives and Pendeen. Numbers of Leach’s Petrels soared again this week, with around 100 birds in all logged nationwide. While many of these were ones or twos, some sites did enjoy multiple sightings, not least South Uist (Western Isles) and Kilcummin Head (Co.Mayo), which respectively tallied 10 birds on 24th and 17 birds on 27th. Our fluid, burgeoning population of Cattle Egrets scaled new and giddy heights this week, with as many as 400 birds logged. While we’ve still to tip over the 100 mark for a single flock, that surely can’t be far away, but some mighty flocks were seen this week. At least 90 birds lingered at Catcott Lows NR (Somerset) on 24th-26th; 44 birds at Abbotsbury (Dorset) on 26th were up to 50 birds at Portesham by 28th; Hampshire, meanwhile, boasted a flock of 56 birds on 24th at Timsbury; further south-west, Devon’s peak count came in the form of 35 birds at Man Sands on 25th; and in Cornwall, 36 were logged at Walmsley Sanctuary on 28th. Duplication, nationally, seems inevitable as birds came and went here and there – but a snapshot of 24th alone revealed 188 birds present in Britain and Ireland. Smaller fare in every conceivable manner was lurking in the depths of Minsmere RSPB (Suffolk) on 24th – a juvenile Little Bittern. More variety in the long legged beastie category came from the Isle of Wight where, at Brading Marsh RSPB on 24th, a Purple Heron was seen. We enjoyed just three Glossy Ibises this week, two in England and one in Ireland. One was seen again at Exminster Marshes RSPB in Devon on 24th-27th, and another was noted at Minsmere RSPB (Suffolk) on 29th; while our Irish bird was present at Tacumshin (Co.Wexford) on 25th. A White Stork was seen in East Sussex at Hailsham on 30th. Unsure what to think about that? No, me neither. Four Common Cranes were once more at Thorne Moors NNR (South Yorkshire) on 24th; on 25th a probable bird was seen in Surrey at Ockley; while in Cambridgeshire two birds at Nene Washes RSPB on 24th had risen to half a dozen on 25th and back to four birds at Eldernell on 28th, with 37 logged at Ouse Washes RSPB on 25th. Two were noted on 27th at Horsted Keynes (East Sussex); and eight birds were noted that day over Daventry (Northamptonshire). On 29th a probable was seen over Dunsby (Lincolnshire); and on 30th two were present at Kilham (South Yorkshire). A Corncrake was seen this week in Highland at Tarbat Ness on 26th. The previous week’s bounty of The Goose Formerly Known As Canada had almost vanished this week, curiously. Maybe birders’ collective attention was focused looking out to sea and not inland. The interior Todd’s Canada Geese remained in Northumberland at Goswick Sands on 24th; the hutchinsii Richardson’s Cackling Goose was again on Oronsay (Argyll & Bute) on 29th; and a small Canada-type remained on Barra (Western Isles) on 25th-30th. A Black Brant (or a hybrid) was seen again in Norfolk at Eccles on 27th; while sightings from Dorset came from Wyke Regis on 26th and Butterstreet Cove on 28th. The drake Black Scoter was once more seen from Cocklawburn Beach and Cheswick Sands (Northumberland) this week on 24th-28th whilst, in Ireland, the drake was once again seen at Rossbeigh (Co.Kerry) on 24th. Surf Scoters meanwhile were represented by the regular drake still off Musselburgh (Lothian) on 24th-29th, and the recent juvenile in Scilly off Tresco on 24th-30th; augmented by further birds in the form of a possible off Sheringham (Norfolk) on 24th, a juvenile drake at Inch Beach (Co.Kerry) on 28th, and a bird flying past Girdle Ness (Aberdeenshire) on 27th. On 29th a drake was still to be found off Harris (Western Isles), and two drakes were seen from St. Andrew’s (Fife). Another was reported on 30th off Dawlish (Devon). The female Lesser Scaup on Anglesey at Llyn Llygeirian remained there on 24th-30th; a further eclipse drake was found in Co.Sligo at Lough Gara on 28th. The drake Ferruginous Duck remained at Skinflats Lagoons RSPB (Forth) on 24th. Cornwall’s Drift reservoir still held a Ring-necked Duck until 30th, with two birds present there once more on 27th; and the drake bird was again at Llyn Caer-Euni (Glamorgan) on 25th-30th. In Ireland, a drake was on Lough Carrib (Co.Galway) on 24th, and a female was seen at Lough Morne (Co.Monaghan) on 27th-28th. A bird was present on Fetlar (Shetland) on 27th-29th, while the female was again on the Shetland mainland at Loch of Clumlie on 29th; and in Devon, a drake was at Slapton Ley on 28th-29th. On 29th two birds were present at Lough Fern (Co.Donegal). Back in Shetland, on Whalsay the Blue-winged Teal proved settled this week, remaining there until 28th, but still tantalisingly out of sight of home for me. The Green-winged Teal was still present on North Ronaldsay (Orkney) on 25th-29th, with further birds on North Uist (Western Isles) and at Blacktoft Sands RSPB (East Yorkshire) on 29th; while another was reported at North Park (Glamorgan) on 25th. On 30th the drake was again seen in Wick (Highland). Two female American Wigeons start our reports of the species this week, seen on North Uist (Western Isles) on 24th and at Chew Valley Lake (Somerset) on 25th-30th. A drake was once more at Hesketh Out Marsh RSPB (Lancashire) on 28th-30th, and another drake was on Walney at South Walney NR (Cumbria) on 29th-30th. Back on North Uist on 30th a drake was seen at Aileodair. The female King Eider at Ynyslas (Ceredigion) was still present on 25th, while the northerlies seemed to bring fresh birds to us too on 28th – an immature drake seen flying by Hornsea (East Yorkshire) presumably accounts for the bird seen that afternoon in FIley Bay (North Yorkshire); and in Norfolk an eclipse drake at Sea Palling later seen flying by Happisburgh, Salthouse and Mundesley. On 29th the latter bird was seen again off Horsey, and on 30th on the sea off Sheringham. Finally, back in Shetland, our honorary waterbird was still present on Spiggie on 27th-29th in the dumpy form of the Pied-billed Grebe. Some fresh variety was injected into our waning numbers of rare waders this week in the form of a juvenile Pacific Golden Plover on the Bann estuary (Co.Derry) on 28th, but generally speaking this was the highlight of a dwindling shorebird offering. Moving seamlessly onto American Golden Plovers, the adult remained in Kent at Oare Marshes KWT until 26th, while the juvenile bird was once again seen on Benbecula (Western Isles) on 27th. Nearby South Uist (Western Isles) sported two juveniles on 27th also. Eslewhere, one was at Pickerings Pasture (Cheshire) on 25th, and on 26th birds were noted on St Mary’s (Scilly) and at Carrahane Strand (Co.Kerry). Two White-rumped Sandpipers were again at Myroe (Co.Derry) on 28th-29th; while a duo were also seen at Tacumshin (Co.Wexford) on 26th-29th; the Co.Dublin juvenile remained at Booterstown Marsh on 24th-28th. Newport Wetlands NNR (Gwent) landed a juvenile Baird’s Sandpiper on 24th-29th; this week’s only Pectoral Sandpiper was a juvenile bird still in Devon at South Huish on 25th-30th. Heading north, the juvenile Spotted Sandpiper remained at Jarrow (Co.Durham) on 24th-28th. Lincolnshire held onto the faithful adult Long-billed Dowitcher at Frampton Marsh RSPB throughout the week; while in Cornwall the Temminck’s Stint remained at Stithians reservoir on 24th-30th. A possible Wilson’s Snipe was once more seen on St Mary’s (Scilly) on 30th. Highland scored a juvenile Lesser Yellowlegs on Skye on 24th-30th; other juveniles seen this week were birds still at Lodmoor (and latterly, Radipole) RSPB on 24th-30th and Devoran Quay (Cornwall) again on 27th-28th; and in Co.Dublin, presumably one ranging bird was accounting for sightings from Booterstown Marsh, Sandymount Strand and Rogerstown as the week progressed. A deeply unseasonal Black-winged Stilt was in Essex on 29th at Hamford Water. 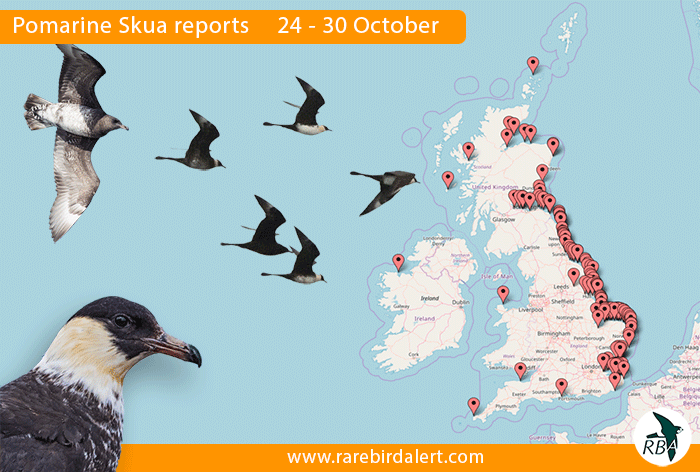 Any week with elevated numbers of Pomarine Skuas and Leach’s Petrels was always likely to boast a Grey Phalarope or two – and this week, we had some 30 birds noted nationwide, predominantly (though not exclusively) off the east coast. Our peak count were five birds seen from Bacton (Norfolk) on 27th. The week began as the previous one had left off – with the pair of first-winter Gull-billed Terns still present at Haughton Strother GPs in Northumberland on 24th-26th, but not thereafter. If the persistent chilly northerlies had induced them to finally move on, they were being replaced with the first vanguard of white-wingers from the far north – while Iceland Gulls were relatively few and far between this week, the same certainly couldn’t be said for their bulkier counterparts… Around 60 Glaucous Gulls were logged in the course of the week, many of which were seen from sea-watches – the most notable count being a dozen seen from the Lamba Ness promontory at the north end of Unst (Shetland) on 27th. Just three Iceland Gulls were seen this week though – individuals at Kilcummin Head (Co.Mayo) on 27th and, on 28th, at Gibraltar Point NNR (Lincolnshire) and South Gare (Cleveland). All the attention being focused out to sea this week was rewarded with a modest spike in sightings of Sabine’s Gulls - on 26th two were seen from Pendeen (Cornwall), with singletons that day noted from Barns Ness and Dunbar (Lothian); one was seen from Minehead (Somerset) on 27th; and on 28th birds were logged off Tynemouth (Northumberland), Birchington (Kent), and Cley and Weybourne (Norfolk). On 29th further birds were noted from Reculver (Kent), Holme (Norfolk), and Fife Ness (Fife). 30th saw birds logged off Holme and Salthouse (Norfolk), and a probable seen from Hartlepool Headland (Cleveland). …Rough-legged Buzzards, which enjoyed another busy-ish week. Sightings came again from Norfolk at Wells on 25th; on 28th from Potter Heigham and Titchwell RSPB; and on 29th from Horsey and Waxham. Elsewhere birds were noted at Hornsea Mere (East Yorkshire) on 25th; Reculver (Kent) and Brightlingsea (Essex) on 28th; and on 29th over Primrose Hill (London), Farlington (Hampshire) and Foula (Shetland). 30th brought an additional sighting from Rainham Marshes RSPB (London) and Dartford Marshes (Kent). And finally, we come to the immature White-tailed Eagle seen wandering around Norfolk on 29th – noted from Weybourne, Salthouse, Strumpshaw Fen RSPB and even over Norwich later in the morning. Scilly teased us once more this week with a bird that, had it only been confirmed, would have certainly animated birders who have a chunky Calandra Lark sized gap in their lists – a possible seen briefly on Tresco on 24th sadly came to nothing further. Sticking with the ifs, buts and maybes for a little longer, a probable Thrush Nightingale in Suffolk at North Warren RSPB on 25th also eluded certain identification. Consensus of the eastern stonechat sp present still in Norfolk this week at Salthouse until 29th seems to still favour a probable determination of Stejneger’s Stonechat; another found this week in Scalloway (Shetland) on 24th-27th was trapped and ringed, with DNA taken, so in due course we’ll have some certainty as to whether this one was Stejneger’s or Siberian. Back to Norfolk, the county scored its second Red-flanked Bluetail in consecutive weeks on 29th, with one being discovered that day at Titchwell RSPB. Bluethroats meanwhile were seen this week on 28th on Fair Isle (Shetland) and North Ronaldsay (Orkney). Foula (Shetland) has been quiet for a few days after the high octane excitement of its double American sparrow thriller earlier in the month. The sleeping island twitched into life once more with a Pied Wheatear there on 29th-30th – the 12th record for Shetland. They’ve become annual here in recent autumns, with this the fifth consecutive year there’s been one in the archipelago. Ireland, for once, was topping the news for warblers of note this week – Co.Kerry’s first Booted Warbler remained at Bolus Head on 24th; while a late Blyth’s Reed Warbler was uncovered at Malin More (Co.Donegal) on 28th. A Pallas’s Warbler put a cherry on Lundy’s (Devon) cake when trapped and ringed there on 25th; another was found at Easington (East Yorkshire) on 29th-30th; and one was at St Cyrus (Aberdeenshire) on 30th. Two Dusky Warblers were present on St Mary’s (Scilly) on 24th-25th, with at least one of them still present on 26th-29th; another was at Porthgwarra (Cornwall) on 28th – either a new bird or the individual last seen there on 23rd coming back out of the woodwork – and finally new birds were found on 29th at Weybourne (Norfolk) and on 30th at Spurn (East Yorkshire). Numbers of Yellow-browed Warblers noticeably contracted this week, with only some 200 birds in all logged nationwide. Doubtless some of these will find warm nooks to spend at least the early part of the winter ensconced within – a prize in the making for the local patch-worker. The Melodious Warbler remained in Gwynedd at Pwll Cyw until 28th; an Icterine Warbler was seen on Bryher (Scilly) on 25th. Barred Warblers managed, once again, to barely inch into double figures this week. One lingered at Hartlepool Headland (Cleveland) on 25th-30th; on 26th one was trapped and ringed on Portland (Dorset) and remained there until 29th, while another was present on Bardsey (Gwynedd); Prawle Point (Devon) enjoyed a bird on 27th, while one was on St Mary’s (Scilly) on 27th-29th. 28th saw a modest east coast arrival, with birds found at Finstown (Orkney), Holy Island (Northumberland), Bempton Cliffs RSPB and Kilnsea (East Yorkshire), and at Burnham Overy Dunes (Norfolk). This continued on 29th, with Bempton Cliffs RSPB now hosting three birds, and the Burnham Overy, Finstown, Holy Island and Kilnsea birds still present; one was also found on 29th-30th on The Lizard (Cornwall), and one was trapped and ringed at Buckton (East Yorkshire) on 29th. By 30th birds remained at Kilnsea and Bempton, with a new possible bird at St Cyrus (Aberdeenshire). Another putative halimodendri Desert Lesser Whitethroat was present at Kilnsea (East Yorkshire) on 28th-29th, and was trapped and ringed on the latter date; another candidate was found at Whitburn (Co.Durham) on 29th-30th. Numbers of Richard’s Pipits approximately halved this week, with some 20 birds in all noted nationwide from Scilly to Shetland. All were singles bar duos on St Mary’s (Scilly) on 24th-26th still, and at Polgigga (Cornwall) again on 25th. Portland (Dorset) had a flyover Tawny Pipit on 24th. A possible Olive-backed Pipit was present on The Lizard (Cornwall) on 28th, with a confirmed bird on St Mary’s (Scilly) on 29th-30th and another on 29th on Blakeney Point (Norfolk). Topping the pipit news this week was this autumn’s latest American Buff-bellied Pipit - our last, a few weeks back, was up in Shetland on Foula; this week’s, on 29th, was down in Cornwall at the incomparable Nanjizal – which stands to be not only a second record for the county, but also for Nanjizal following their respective first there on 26th October – 17th November 2007. Two Hoopoes were found on 25th, in Wales and Ireland respectively, at Mathry (Pembrokeshire) and Castlecaulfield (Co.Tyrone); a third bird was seen at Easington (East Yorkshire) on 28th. Kent had another Red-rumped Swallow on 27th, at Sandwich Bay. We’ve already touched on the reappraisal of one of the Red-breasted Flycatchers on Galley Head (Co.Cork) this week, but despite losing one record to the rarer option, the site still boasted another RB Fly on 24th. Another was on Inishmore (Co.Galway) on 26th; and final sightings came this week from Southwold (Suffolk) on 28th-29th, North Gare (Cleveland) on 29th-30th, and Fife Ness (Fife) on 30th. Sometimes, no matter how late in the autumn it comes, a Red-backed Shrike is just that, a Red-backed Shrike and not a Brown Shrike. Two such birds were seen this week – one on Inishmore (Co.Galway) on 24th, and another at Brightlingsea (Essex) on 24th-27th, the latter also sharing the site with a Great Grey Shrike for good measure on 26th. A further 14 Great Grey Shrikes were noted this week – in Ashdown Forest (East Sussex) still on 24th-30th; on North Ronaldsay (Orkney) again on 25th, with another that day at the traditional site of Black Gutter Bottom (Hampshire); in Norfolk on 27th at Warham Greens and Stiffkey, and on 27th also at Rawtenstall (Lancashire); and on 28th at Llanychaer (Pembrokeshire), Isfield (East Sussex) and Witley Common (Surrey). On 29th birds were discovered at Horwich (Greater Manchester) and Beaulieu Road Station (Hampshire), and on 29th-30th at Flamborough (East Yorkshire) and Great Barton (Suffolk). On 30th another was seen at Ellington (Cambridgeshire). It wouldn’t be a Rarity Round Up of late without checking into East Yorkshire to see if the Pied Crow was still resident at Flamborough… and yes, it was still present, all week long. The Rose-coloured Starling in St Helen’s (Lancashire) was still the fore on 24th-30th, while the Porthgwarra (Cornwall) individual was seen there again on 25th. Elsewhere, sightings came from Scilly on St Mary’s on 25th, St Agnes on 26th-28th, St Martin’s on 29th and Tresco on 30th; at Castlemartin (Pembrokeshire) on 24th; and on the Isle of Man in Douglas on 25th. A further probable bird was seen briefly on 29th at Marazion (Cornwall); and the week closed with a final bird in Llandudno (Conwy) on 30th. Just one of the recent handful of Red-eyed Vireos remained this week, being the bird on Bryher (Scilly) still on 24th. Scilly also provides the week’s only Serin, still present on St Mary’s on 24th-29th; and our only Common Rosefinch, also on St Mary’s on 28th-29th. Northerly winds made it feel like winter had come early, but if there’s one bird that feels right at home in cold conditions, it’s an Arctic Redpoll. A hornemanni example was fabulously confiding on Unst (Shetland) on 29th; with an exilipes bird also on Unst that day, prefacing a small arrival of the latter subspecies nationally. North Ronaldsay (Orkney) also got a hornemanni on 29th; that day Norfolk scored two exilipes on Blakeney Point with both remaining the following day, and at least one in Wells Woods on 29th too; Filey (North Yorkshire) had a single bird; as did Kilnsea (East Yorkshire); and Bempton Cliffs RSPB (East Yorkshire) on 29th-30th; and a probable on 29th was also in Norfolk at Winterton North Dunes. On 30th exilipes were found on Fair Isle and at Walls (Shetland), with another probable bird back on North Ronaldsay as well. Returning to Scilly for (most of) our closing buntings, we’ve got a Little Bunting on Tresco on 25th-27th joined there by a second bird on 26th; and the Rustic Bunting still present on St Mary’s on 24th-27th. A further Little Bunting was found on 30th at Ballynacarriga (Co.Cork). Breaking recent tradition, I’m not starting our round-up of overseas news in the Azores this week as to do so would be to do Sweden an immense disservice – as Swedish birders enjoyed not one but two national firsts this past week: a male Siberian Rubythroat at Skogshall on 26th followed, on 28th, by a first-winter Slaty-backed Gull at Simrishamn. Not a bad double at all. 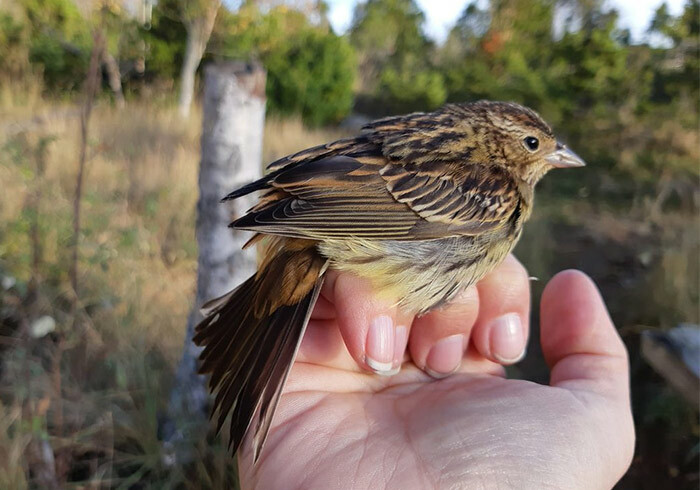 Other Scandinavian news was topped by a Chestnut Bunting trapped and ringed at Sappi bird observatory in Finland on 24th; followed, in Norway, by an American Buff-bellied Pipit at Rogaland on 28th-29th; and further gilded by the continuing presence of the Pacific Diver in Denmark at Grenen on 24th. The Asian Desert Warbler was still on Heligoland (Germany) on 24th while Holland’s premier island, Texel, scored a Red-eyed Vireo on 27th-29th. In Belgium, the Pygmy Cormorant remained at Parc Domaine du Val Duchesse on 25th-26th at least. Poland enjoyed a Sociable Plover at Radziadz on 30th. In Iceland, an American Robin was found at Solbrekka on 29th – only the 6th national record. Mainland Portugal’s first Green Heron remained this week at Quinta do Lago on 24th. Meanwhile, in the Canary Islands, the seemingly resident Dwarf Bittern was still on Fuerteventura on 24th also. Which brings us neatly to the Azores where, on Sao Miguel, the Western Palearctic’s 4th ever Tricolored Heron was present on 27th-29th. Skirting around the main event now, on Flores the Black-throated Blue Warbler was still to be seen on 25th-26th, with a Red-eyed Vireo there too on 26th. Terceira meanwhile boasted a Solitary Sandpiper on 27th. And so to Corvo, where in addition to the islands’ first Pallid Harrier on 25th-28th, there were one or two Nearctic birds of note still… On 24th, the Blue Grosbeak was still present, with a Baltimore Oriole there too that day and, on 24th-27th an American Redstart still and, on 24th-28th, a Magnolia Warbler. 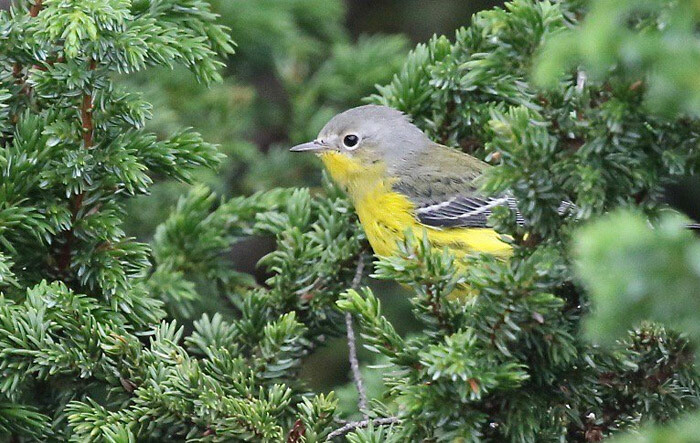 25th revealed lingering birds in the form of Northern Parula, Myrtle Warbler, Philadelphia Vireo and two apiece of Ovenbird and Indigo Bunting; with the Yellow-throated Vireo still present on 25th-28th and the Dickcissel again on 25th-29th. 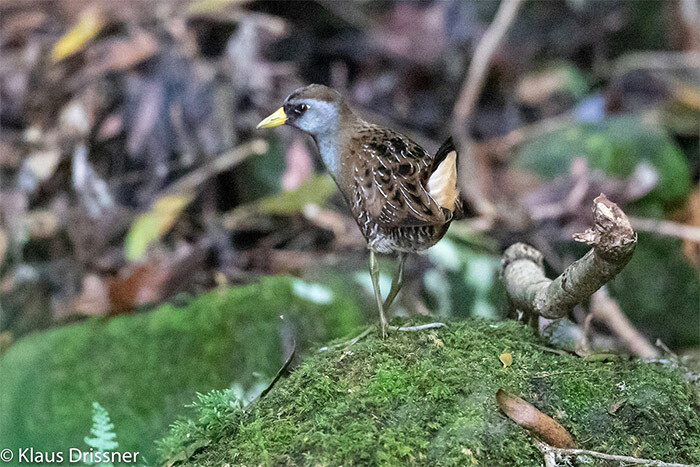 Final dribs and drabs came in the form of a Sora on 26th-27th, a Swainson’s Thrush on 28th and a Yellow-billed Cuckoo on 29th. And so we continue to roll the year up with the advent of November. I’m not sure who to attribute the quote to, but a contact on Twitter reminded me of a recent birding saying this past week – that November is the new October – and glancing at the first week of November in past years, we could be onto something there. The autumn is far from over.